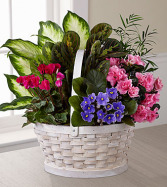 1-800-Flowers EXCLUSIVE We’ve cooked up a wonderful, all-in-one gift for all their holiday gatherings. 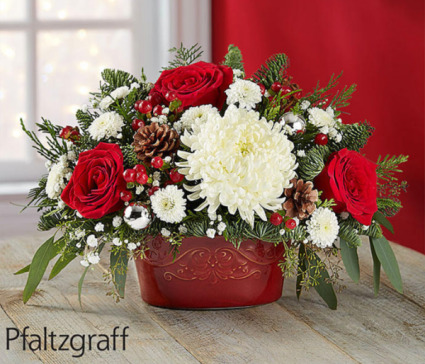 Created exclusively through our collaboration with Pfaltzgraff, this unique gift combines a joyful seasonal arrangement with a versatile entertaining piece. They’ll love displaying the festive Christmas blooms, then using the petite, crimson-colored casserole over and over, which lets them simply cook, serve, save and enjoy! It’s an everything-safe 16-ounce bakeware essential that can be used for small hors d'oeuvres or large condiments. Naturally lovely, this lovely plant garden is an inspired way to pay tribute at a wake, or to show family and friends your continuing support as time goes on.